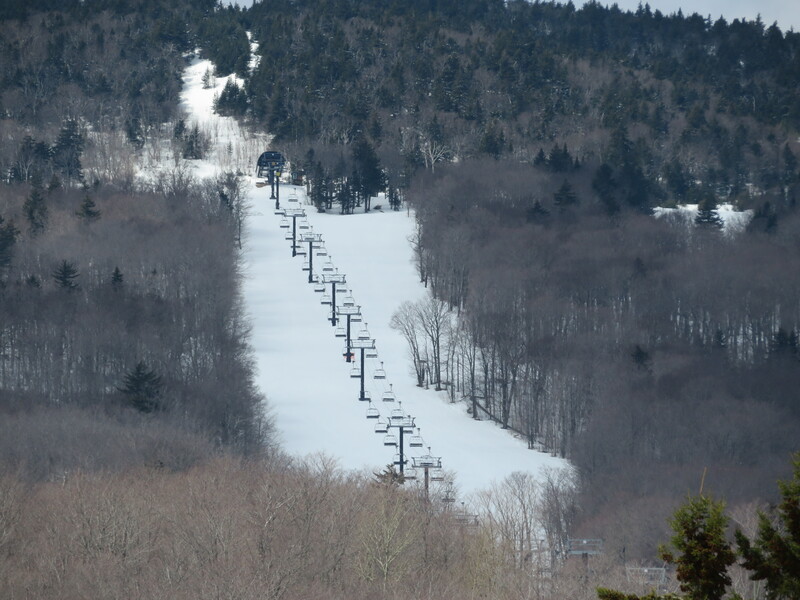 One of many Poma high-speed quads at Killington of various vintages, Ramshead is about 1,000 feet shorter than the lift it replaced, which continued to the summit. It’s always wind when a lift is shortened. No it’s a lot more complicated than that. Les Otten wanted Ramshead to be a family/novice area. The lower trails generally followed the fall line and were easy to widen. The upper trails were all rated green or blue (except the lift line) yet he claimed he had to shorten it because the trails were too hard to ski and for wind. I think what he did was a farce and is a great example of the ASC “easy way”. 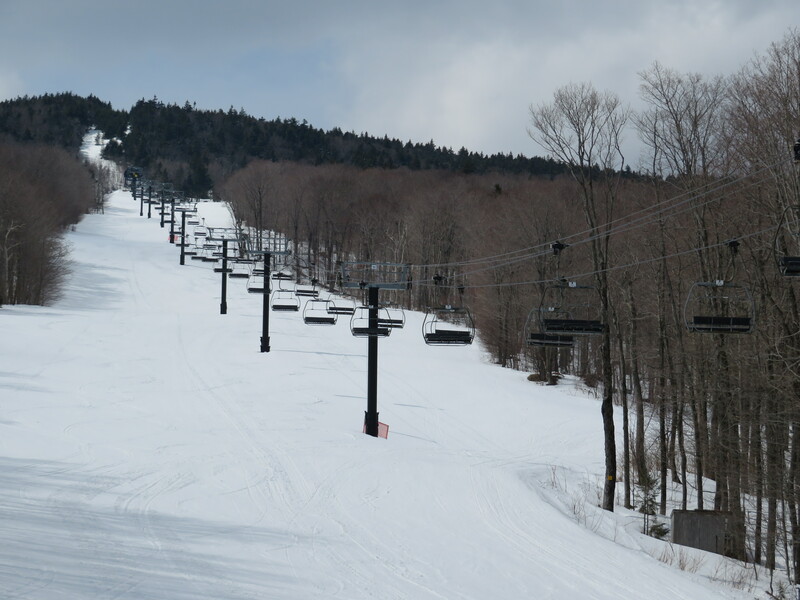 There was no reason they couldn’t have been widened and graded to be like the trails served by the current lift. If wind was an issue then they could’ve just closed the lift line trail at the very top and made the towers super low to the ground. 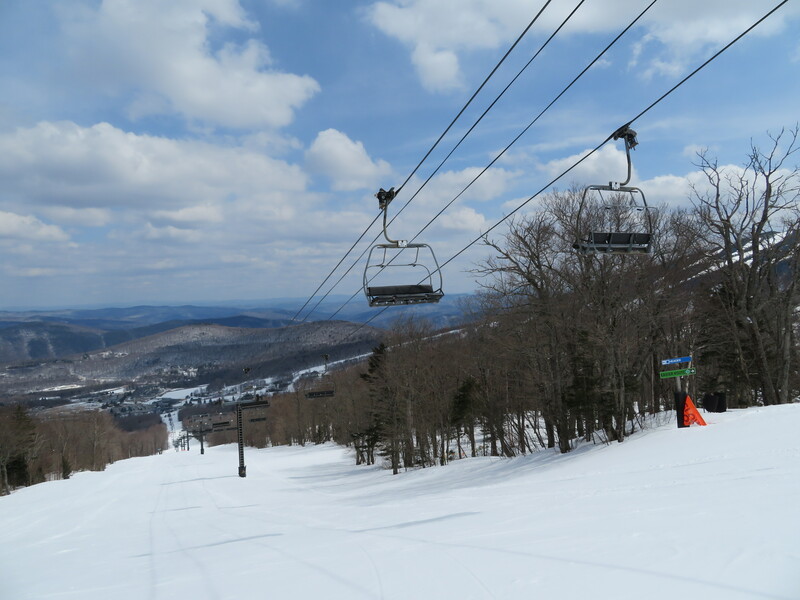 In closing the top of Ramshead, Otten took a step back in his plan to connect Killington and Pico. 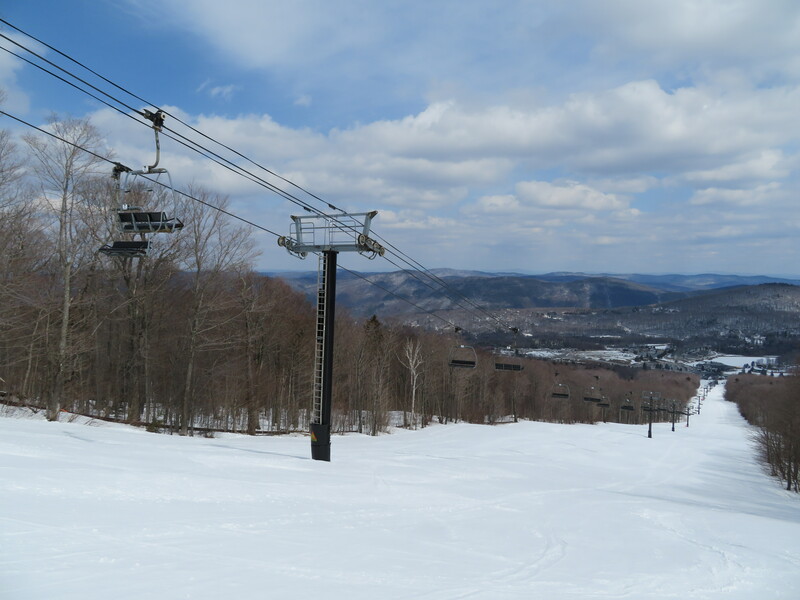 With a lift to the top of Ramshead, just one extra lift would need to be built to make the connection. It would be on the Pico side while the trail he cut from Pico to the access road could’ve been routed into the bottom of Ramshead. Now to make the connection this lift either has to be replaced with one that extends back to the top, or a separate lift needs to be built to the top in addition to a lift on the Pico side. 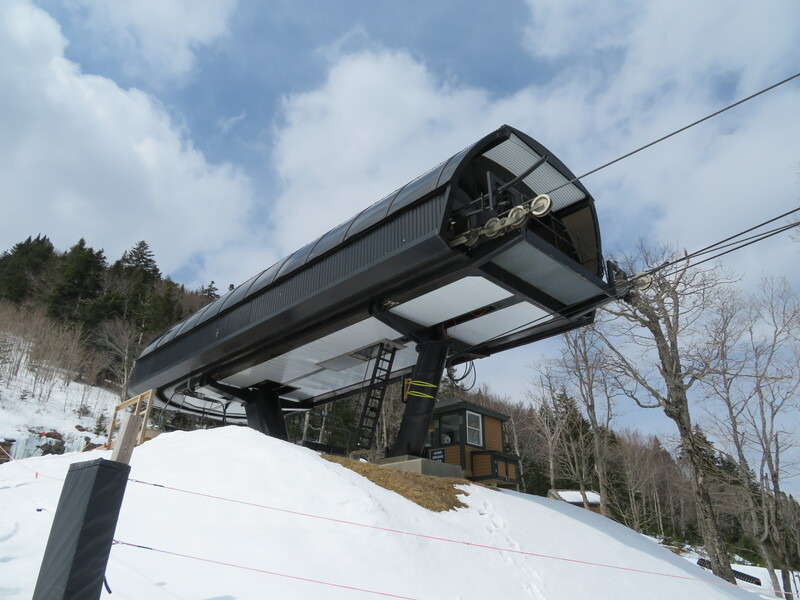 I’m wondering if killington will install a non bubbled six (or eight) to replace the ramshead and have the new lift end at the true summit of ramshead mountain? I’m not really sure what their plans are, but the right thing to do for long term planning is a lift that extends back to the true summit. That would allow for a connection to Pico building only one additional lift. 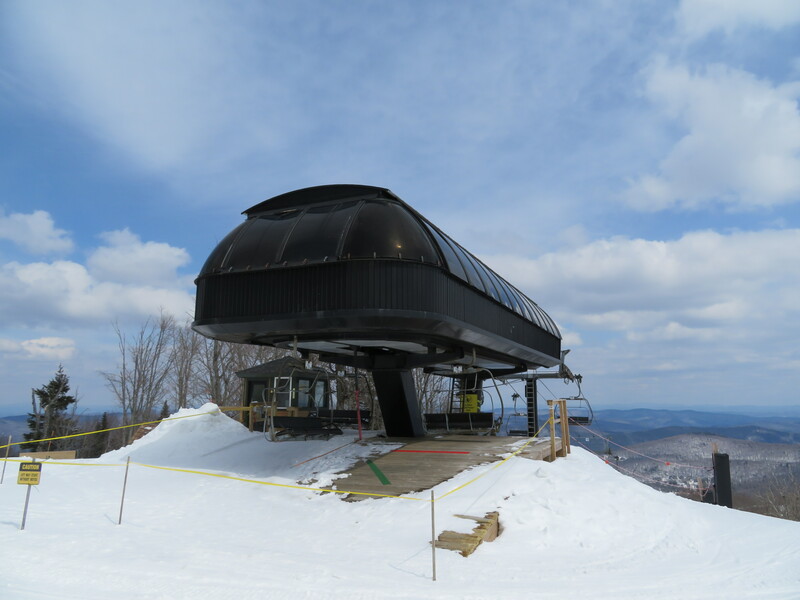 If they went with a bubble for Snowdon, I think they also would for Ramshead. They will also want an enclosed lift out of their new village development which will happen soon. The RFID gate structure appears to have two extra attachment points but it could just be to allow for wider gates during bike season. I hope they at least consider an 8. With the village and Pico connection funneling into here, they will need a lot of capacity. I imagine it will be a few years before this lift is replaced. Although it is quite popular and should become a 6 or 8 seat detachable, it isn’t old enough to be retired. Perhaps they move it elsewhere on the mountain or sell it. 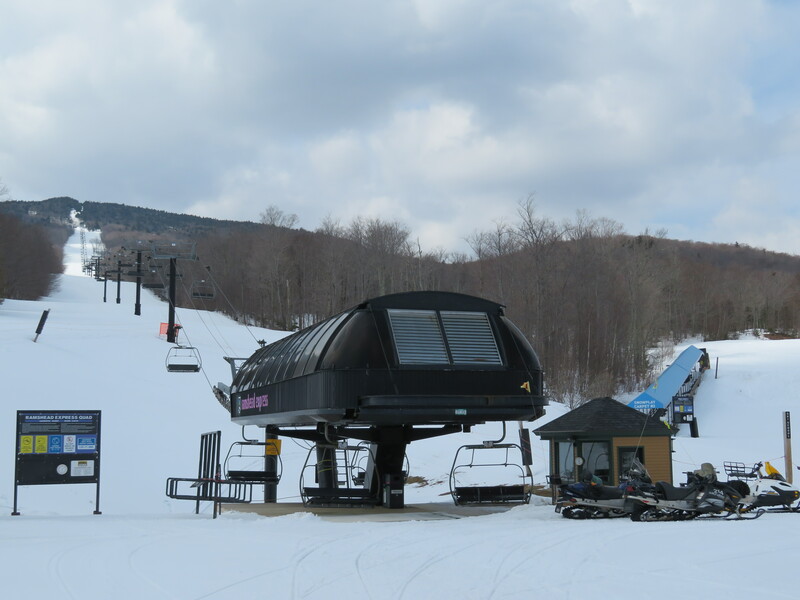 I think replacing Superstar with a 6 or 8 detachable, replacing both Snowshed lifts with a 6 or 8 detachable, and replacing Bear with either a 4 or 6 detachable are higher priorities after replacing North Ridge this summer. I think Superstar is the next priority after North Ridge. 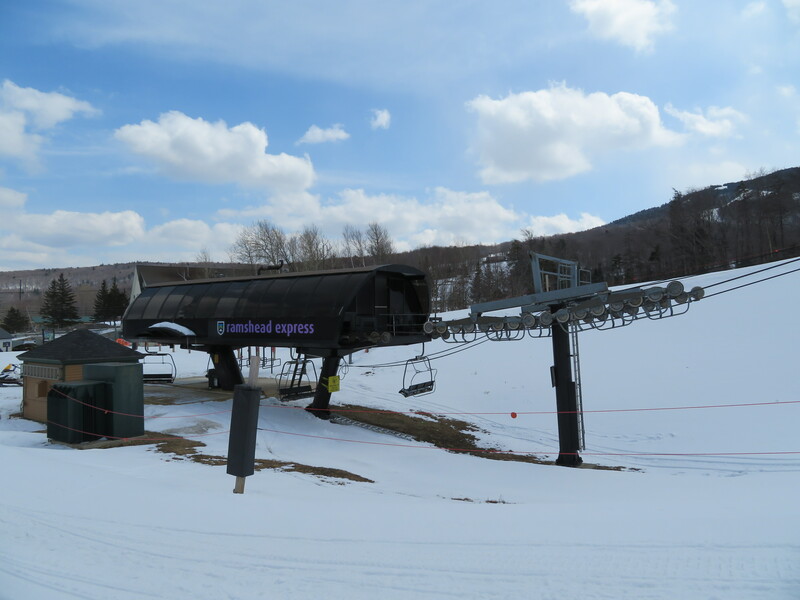 Ramshead will need to wait until village and interconnect plans are finalized as those are both factors for the terminal locations. I think they will replace the lodge as part of the village plans and then the terminal could be moved downhill to make it easier to go between Ramshead and Snowshed. The Snowdon upgrade has reduced traffic on Ramshead quite a bit, but it can still have a significant line on weekends, but I don’t think it’s as urgent of an upgrade until the things mentioned above are coming. Also this is one of their most reliable lifts, so they wouldn’t want to replace it and likely sell it unless the additional capacity is really needed.